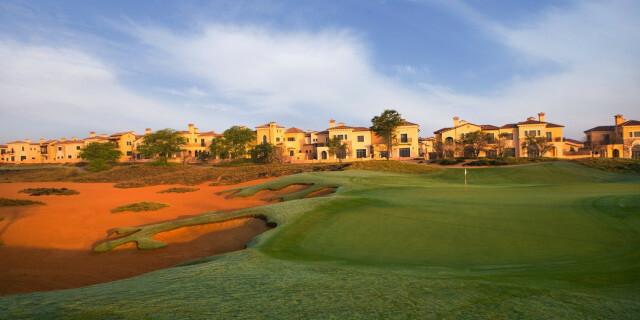 Home to the European Tour's season-ending finale at the DP World Tour Championship, the Earth Course at Jumeriah Golf Estates is a Greg Norman design that has become iconic due to the great moments that have occurred throughout the past decade or so. 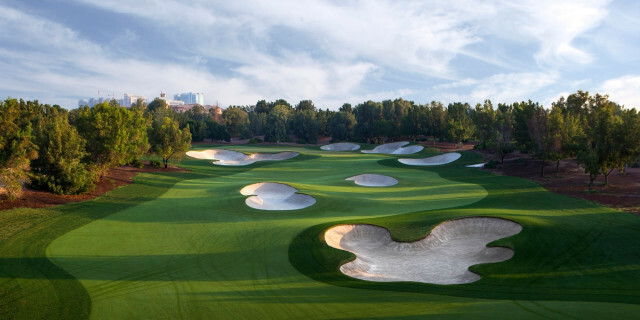 Lee Westwood, Henrik Stenson, Rory McIlroy and Jon Rahm have all won here, and the opportunity to visit Dubai and walk in their footsteps is a memorable experience for any golfer. Richard Moore has supplied this review of Earth. 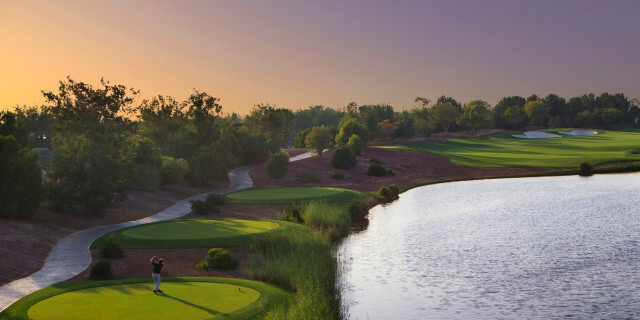 The course is carved out of a flat piece of desert, so you don’t get the skyscraper backdrop of the Emirates GC or the sight of the river at the Deira Creek. So, nothing really catches the eye. Although the clubhouse is apparently the biggest in the region, even that does not have a wow factor. It’s a long course! 7706 yards off the championship tees, 7045 off the green (which I played); 6473 off the blue and the forward tee is 5435. Par 72. I had read several Golfshake reviews and many said the same thing: ‘there’s a lot of bunkers.’ That is indeed the overall feeling you have, there is not a lot else to really catch your eye. You arrive by car and wonder where on earth you are going - literally the outskirts of civilisation. You drive onto a huge housing estate and take a few minutes to drive past hundreds of millionaire properties before you come across the clubhouse where the hosting staff are welcoming and friendly. The hospitality is nice – the practice facilities are excellent with a huge putting green and expansive practice area with free balls and tees for mementos! To boot, I was given a metal cart tag by the pro shop with EARTH on one side and my name engraved on the other – a lovely touch and a happy memory to cherish throughout the rainy rounds in England. The first tee shot is typical of those on the front nine - very well-manicured vegetation (bushes, hedges, flowers) for the first 80-100 yards off the tee which is attractive and then you look up at a sea of huge fairway bunkers. Giving the impression there is more sand than grass off the tee (but this is the desert remember). There was hardly a tee shot where my camera phone was not out which says a lot! So be prepared for those tee shots over flora, picking a spot between a group of fairway bunkers and fairways lined by boundary walls to hundreds of apartments. Not unattractive by any stretch but quite similar around the course. There are a lot of holes which are a bit too similar – only a few truly unique ones stand out. The tee shots are a little less imposing - maybe you get more into the round by then but the last four holes are worth the wait. Water comes more into play on the back nine. Overall, there is very little water on this course – just the par 3 sixth over a big pond and to the right of the par 5 14th (see photo below) where the water narrows the fairway for your second shot and focuses the mind for the approach. Not forgetting the island green 17th, so only three holes have lakes/ponds as a hazard. But the 18th has the famous creek snaking up the middle forcing you to choose a left or right strategy for your journey home. A cracking finish! The standout holes are probably the par threes. There is an absolute belter on the front nine – the 4th which is downhill (175 yards from the green tees). The bunkers are immense. I found the left one and it was twice my height to get out. The 17th over 160 yards of water to an island green narrows your focus. But for me the 16th (par 4) is the best hole I have played in ages. A gorgeous tee shot over streams and plants (a landscape which would not look out of a place in a garden centre!). The fairway gives you a choice to aim let or right of the fairway bunker. Then the biggest choice whether to go for the green or lay-up short and left. On the right is a tree potentially obscuring your approach and you don’t want to be too right, or water awaits. Thoroughly enjoyed it, taking photos on virtually every hole which i think says a lot. Not overly difficult but the hardest thing was playing against the condition of the course. While I am a visitor to the region and enjoyed some lovely winter sunshine (not too hot at 25 C in March), my playing partner is an ex-pat Brit and a member of Emirates GC so is somewhat spoilt by playing the Majlis every week. But he has played The Earth before too and overall was disappointed by the condition of the course in comparison to both his previous and the regular rounds at Majlis. He pointed out how bare the fairway and ‘first cut’ were in places; how hard the fairways were - compared it to a British links in summer – and how rock hard the greens were – which I agree. For instance, I hit a 50-degree wedge 85 yards into a green which the ball was unable to hold and still released 30 yards across a hard green and into the run-off - hardly ‘target golf’ in those conditions. The greens were overly sandy too, so I guess the course will be in better condition later in the year, but it did not spoil my overall experience. I did not get a chance to sample to the clubhouse but the food ordered from the catering cart was good and pretty quick. I ate half a sandwich, popped it back into the plastic container before holing out on the green only to return two mins later to find it missing. Having initially accused my playing partner I then realised - don’t leave any food on the cart as the crows will get it! Beware. I played for a discounted 350 dirhams (£70) which I feel was about right. It was lovely but not amazing and if I’d paid the full rate (double this) I would have felt a bit aggrieved. 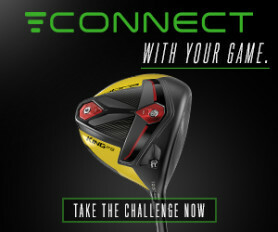 So, if you can play with a member do so. 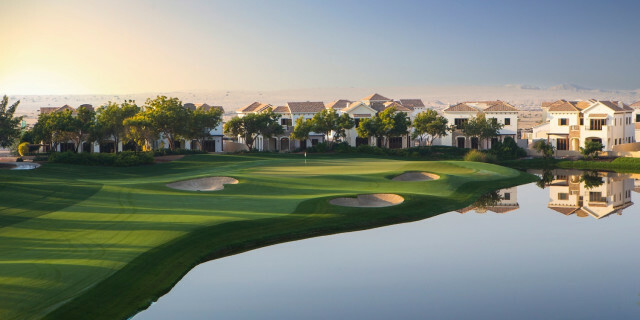 Overall, if you are playing in Dubai, I'd play the Emirates Majlis as a must, Dubai Creek then The Earth in that order as they are all so very different, but all enjoyable.